Today at the SIGGRAPH 2015 Conference and Exhibition, Lenovo unveiled some new mobile workstations. 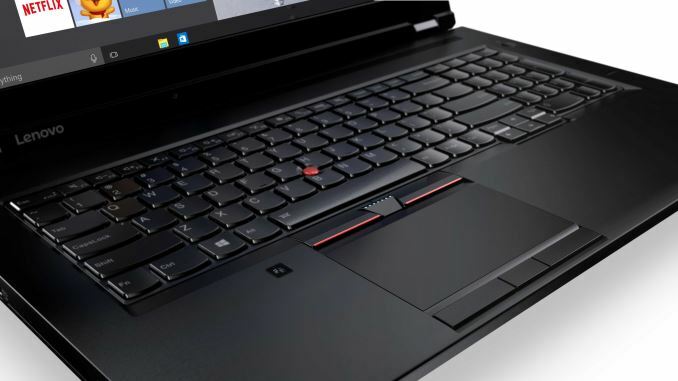 The new ThinkPad P series are aimed at high-end professionals who need a lot of compute on the go. 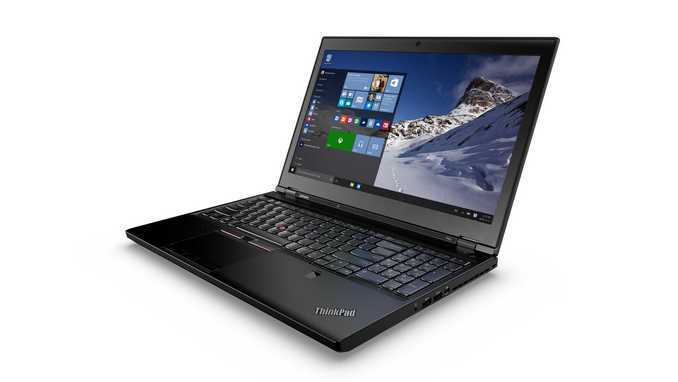 There are two models, with the P50 being a 15.6-inch version, which is a follow-on to the W541. The larger P70 features a 17.3-inch display. Both can pack some serious specifications under the hood, starting with the processor. Both models will feature a new processor from Intel, which is going to be the first official mobile version of their Xeon line. Intel has not released much information yet, but the Intel Xeon E3-1500M v5 is going to be powering these workstations from Lenovo. While we don’t have exact frequencies yet, the v5 version is going to be based on the just released Skylake architecture, which brings a lot of new technology to the plate. 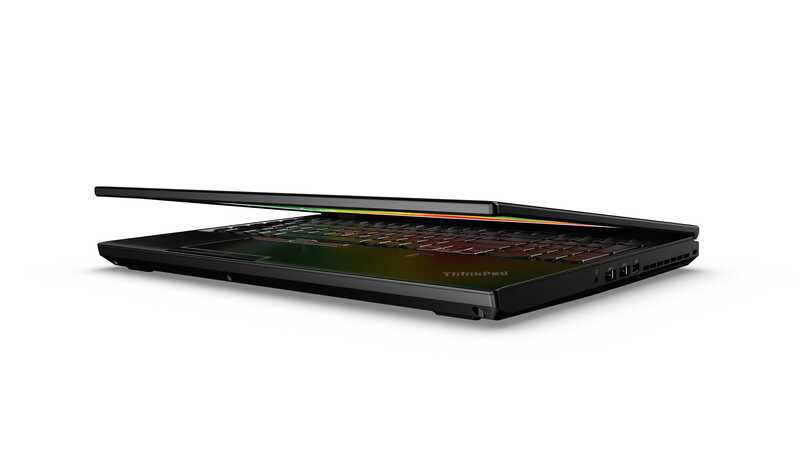 Lenovo will offer the new P series with up to 64 GB of DDR4 memory, arranged in 4 SODIMM slots. One of the reasons to use Xeon is that it supports ECC memory, and these workstations leverage that for the workloads they will be expected to run Also part of the new Xeon will be Thunderbolt 3, and both models have this connectivity. We're not sure yet if Thunderbolt is built into the Xeons, or if something like the Aipine Ridge as an IO controller for this. On the GPU side, Lenovo has included a Quadro card, however the exact model is not known yet. There is also up to 1 TB of PCIe SSD storage available, and up to a 2 TB hard drive. In addition to the Thunderbolt, there will also be HDMI 1.4, mini DisplayPort 1.2, ExpressCard, SDXC, and of course what workstation would not have Gigabit Ethernet, so the P Series has this as well. Wireless is a new card from Intel as well, with the Intel 8260 card which is an 802.11ac model, and Lenovo will be offering it with Bluetooth 4.1 and vPro as well. For those that need connectivity on the go, Lenovo is offering a Sierra EM7445 LTE-A option as well. Other than the larger display, the P70 can also be had with a DVD-RW drive, but hopefully but the time it launches they will at least offer Blu-ray as an option. Speaking of the displays, Lenovo has packed some pretty impressive sounding displays into both models. The P series will offer a 1920x1080p as the base, with optional touch, and there is also a UHD 3840x2160 IPS offering as well. All of the panels are IPS models, and Lenovo has turned to X-Rite to offer Pantone color calibration out of the box, and over the lifetime of the device. The P series can be had with a good choice of operating systems too, from Windows 10 Pro, Windows 8.1 Pro, or downgrade rights to Windows 7 Professional. If you need Linux for your workstation, they will also be offering Ubuntu and RHEL. These MIL-SPEC tested and ISV Certified professional workstations will be available in Q4 2015 with the P50 starting at $1599, and the P70 starting at $1999.